I’ve been looking for poems about stars this week. I’m writing a proposal to Mottisfont Abbey who are planning a ‘Star Gazing’ exhibition. The poem I’ve chosen has fugitive origins: after multiple internet trawls I think the most likely printed source is an 1866 anthology which I found via this blog. It also appears in 1895 in one of the 1240 publications by Sabine Baring-Gould, the amazing folklorist. Since then it’s inspired many – Joni Mitchell, Madonna, Metallica, Pete Seeger – and appeared in Pinocchio and Star Trek films. Perhaps it’s half-way to being like Dawkins’ meme, as it gets used and changed and re-used. 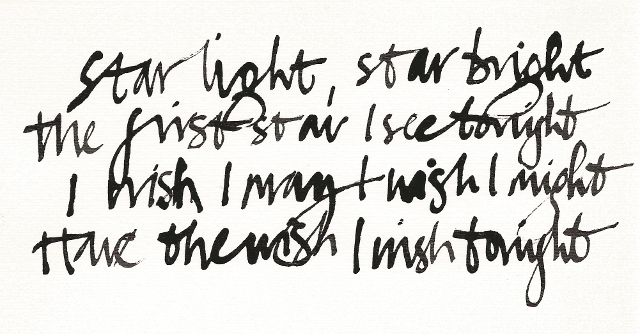 It’s almost got more power than more famous star quotes – Keats’ Bright star! or Donne’s Go and catch a falling star, perhaps because of its anonymity: it’s material anyone can embroider rather than something complete in itself. 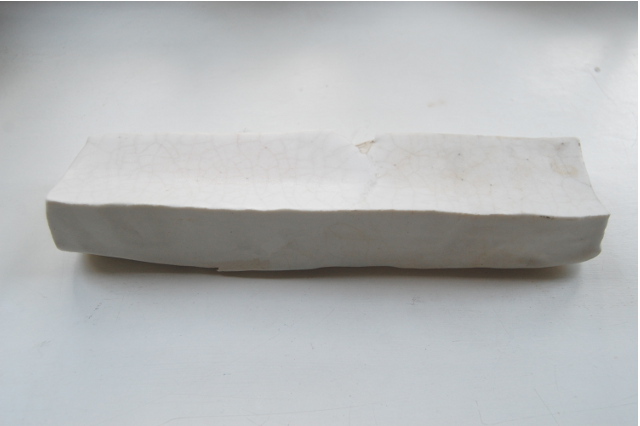 I hope to write the poem across eight porcelain slabs, which will then be laid into the ground around the garden. As usual, I’ve got so enthusiastic about the idea that I’ll have to make them whether I’m chosen for the commission or not. Luckily I have a big porcelain slab, made as a test, that’s been sitting in my garden since 2009, so I know that part of it will work! ← 3D or 2D: maybe all pictures are things too….